This article is adapted from “Making a Holy Lent.” Click image to preview or order. What exactly are we talking about when we speak of repentance? First and most simply, to repent means to recognize the reality of personal sin in your life — and to turn away from it. It means putting sin out of your life and changing your life according to God’s Will, even when God’s Will doesn’t conform to your opinions. Secondly, to repent means to seek the loving mercy of God with a spirit of true contrition. Contrition is more than just sorrow for sin; there are three elements to true contrition: sorrow for the sins you’ve committed, hatred for those sins and all sin, and a firm purpose of amendment, which means that you intend to try, with the help of God’s grace, not to commit the same sins in the future. Editor’s note: This article is adapted from Fr. 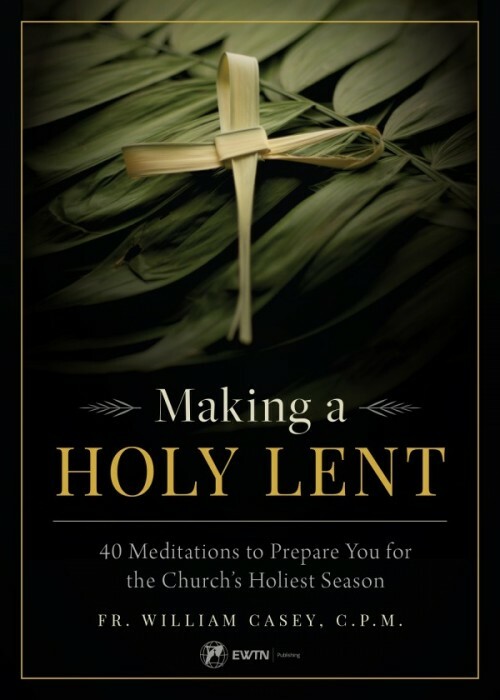 Casey’s Making a Holy Lent: 40 Meditations to Prepare You for the Church’s Holiest Season, which is available from Sophia Institute Press. For more help in going to Confession this Lent, see Fr. Broom’s Ten Tips for a Better Confession. Fr. Bill Casey is a native of Philadelphia, Pennsylvania and a 1979 graduate of Temple University. After graduating from college, he served as an officer in the U.S. Army. Upon leaving the Army, he entered the Congregation of the Fathers of Mercy. He studied Philosophy at Christendom College and Theology at Holy Apostles Seminary and was ordained to the priesthood in 1991. From 1997-2009, Fr. Casey served as the Superior General of the Congregation. Father Casey is a nationally renowned speaker and a frequent guest on EWTN.